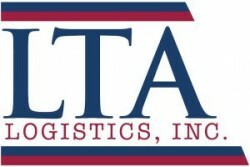 » Listings » Trucking Companies » LTA Logistics, Inc.
LTA Logistics is a leading heavy haul transportation and logistics company with over 35 years of combined experience. We offer solutions and solve any issues that might arise before and during the transportation of any load or logistics projects. The key to our success is communication with our customers…. LTA knows the importance of getting information on your load or project as soon as possible, and that is why our customers have 24 hour access to our account representatives every day of the week. The owners of LTA Logistics, Inc. hereby pledge to make sound and careful decisions, thereby allowing our customers, carriers, employees and community to benefit from those decisions.